Last night, while reading about the Unknown Soldier, it struck me that I I had seen the graves of at least 3 kings. I am not a royalty fan as a rule, because a lot of the misery in this world was caused by their petty squabbles, minor wars, appetite for vast amounts of money and a generally “holier than thou” attitude. Fortunately Queen Elizabeth II has managed to be a sensible monarch and that has helped a lot. In this post I am going to root amongst my images and post the graves of “royalty”, and hopefully settle them in my mind because frankly I can never remember which one reigned when and where they ended up being buried. My first king is to be found in Worcester Cathedral. Gloucester Cathedral is where Osric, the King of Hwicce, may be found. I have to admit I need to look up where Hwicce is (or was). It encompasses parts of Worcester, Gloucestershire and Warwickshire. Technically I live in Hwicce. And, while we are in Hwicce we can stop at Tewkesbury Abbey where we will find the grave of Edward, Prince of Wales, the last legitimate descendant of the House of Lancaster. He lived from 13 October 1453 till his untimely death on 4 May 1471 during or after the Battle of Tewkesbury. 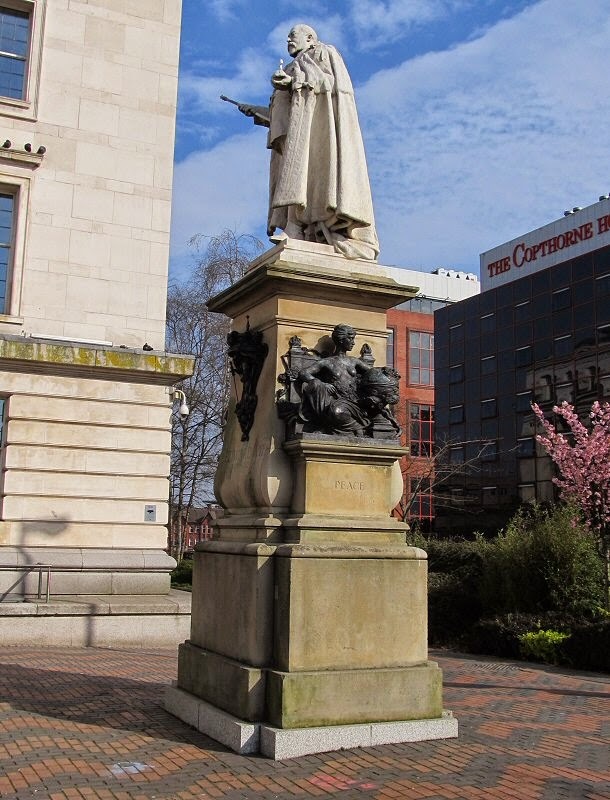 Moving northwards to Staffordshire we can briefly visit Lichfield Cathedral which does not have a king buried within it’s walls, but rather we can look upon the mouldering statue of Charles II who lived from 1630 till 1685. His claim to fame is that he gave money and timber to the cathedral to restore it following the ravages of the civil war. In reality he is buried in Westminster Abbey. Westminster Abbey is the destination I was aiming for because this is where we find the Tomb of the Unknown Soldier that was buried among the Kings. Could we say the same about the the kings buried in the sumptuous surrounds of the Abbey? Unfortunately I never visited the interior of the Abbey, I was fortunate enough that a door monitor allowed me to briefly glimpse the Tomb of the Unknown Warrior and I quickly shot 3 pics before being shown the door again. Thank you, whoever you were. Unfortunately, Westminster Abbey and St Paul’s Cathedral do not allow photography within the buildings so it was not really worth standing in the very long queue. Many other kings found their last resting place to be less than satisfactory. Boudicca of the Iceni is reportedly buried between platforms 9 and 10 in King’s Cross station in London, although there is no evidence that this is true. King Richard III was recently exhumed from the car park where he was buried. Of course at the time of his death that site was not a car park, but was “in the choir of the Friars Minor at Leicester”. After being identified through DNA he was reburied in Leicester Cathedral in 2015. That pretty much concludes my brief visit to kings gone by. I hope to expand on this post at a later date as my reading takes me deeper into this aspect of history. As an aside, Elvis “the King” is buried in the Meditation Garden at Graceland mansion at 3764 Elvis Presley Boulevard in Memphis, Just thought you would like to know. The reason behind my “Waddle Through Worcester” was really to see Worcester Cathedral, or, as it is properly known: “The Cathedral Church of Christ and the Blessed Mary the Virgin of Worcester”. Like so many cathedrals it is large, beautiful and awe inspiring. It will be the eighth Cathedral/Abbey that I have seen and it is hard to know which is my favourite. It does not really matter though because each leaves me speechless and awed at the same time. Unfortunately, getting the whole building into an image is very difficult because there is no real place where you can see it all in one shot. But, I do know where to try for next time. I returned to Worcester on Monday 13th and have replaced some of the exterior images in this post. The interior follows the same basic arrangement of most cathedrals and churches although parts of it were erected at different periods of time. The entrance was not quite where I expected it to be, but nevertheless it was very impressive with all those statues over the door. I do however wish that there had been more sunlight. And, as usual, the moment I stepped inside it was as if I had entered a totally different world. I always like to think that having seen 8 of these churches I would be used to them, but each is unique, and I like to think that in the days of yore this place was held in awe by the people who came from far and wide and entered within. It certainly leaves me shell shocked. There are a lot of aspects to taking photographs in a cathedral. The light varies considerably and in many cases a flash is required and I try to avoid using a flash. There are always people moving in and out of view, and sometimes areas are just too big to photograph effectively. I do not carry a DSLR and make do with a reasonable hand held camera. Photographic permits are available from the shop at £3. Overhead the vast expanse of vaulted ceilings is quite a dizzying sight, but nevertheless it is always worthwhile to lean back and appreciate the work of those who built this building. Before the English Reformation the Cathedral was known as Worcester Priory. It was built between 1084 and 1504 and represents every style of English architecture from Norman to Perpendicular Gothic. There are some really beautiful wall memorials and effigies in the cathedral, and some are outstanding works of art rather than mere memorials. I cannot help but marvel at the skill of those who created these works. And the High Altar (image below). In front of the High Altar and before the quire is the tomb of King John. Unfortunately I could not get a decent image of the tomb because of one person that was seemingly glued to the immediate space around it. Saint Wulfstan and Saint Oswald can be seen in miniature beside the head of John on his effigy. It is not every day that you get to see the tomb of a King. Underneath the Cathedral is the Crypt of St Wulfstan, and it is was open for viewing although the chapel was roped off. It is a quiet and thoughtful place, a very appealing spot to wander around in. Many of the slabs on the floor are floor memorials. Returning to ground level I needed to find the loo (as usual), and that took me to the Cloister. It too is a pretty space, surrounding the central garden/graveyard/herb garden. I would have really liked to have walked around in that space but it was locked. I did find this area quite dark in spite of the many windows. But then it was still grey and gloomy outside anyway so that may have had something to do with the atmosphere. My ablutions over, it was time to return to the building again and take another walk around. There is a dedicated Chapel of Remembrance where the Rolls of Honour are kept, and with its many memorials to the fallen. I may do a separate blogpost about the memorials in this chapel and the windows in the Cloister. On the 13th I was able to see inside the Chapter House, and it was magnificent, with amazing acoustics. My camera can’t really do justice to this structure. Space does not allow me to show all of my images, and I often cannot really describe what I saw which is why these images are here. They need no caption but just convey what I saw. They are places of great beauty and tranquillity. And that concluded my trip to Worcester Cathedral. It is a beautiful building and so different but so similar to the others I have seen. Go back? of course, these structures have so much to see that each time is different. Besides, I hear there is another memorial to “Woodbine Willie” that I would like to see, I wish I had known about it at the time, or, maybe I did photograph it, I just have not seen it yet. I did manage to photograph the memorial mentioned above, and will deal with it in my “Connections: Woodbine Willie” post.